Here we go again! This year, I went for a holistic approach to the Oscars. Instead of picking individual categories, I think this will be a year with a specific story. With so many films in contention for the top prize, I think the Academy will look to spread the love. In recent years, there has been a move away from giving all the awards to a single film. It looks like we may be beyond the days of a Titanic racking up 11 wins, or The Silence of the Lambs winning all of the big five. These days, juggernauts walk away with a fewer trophies and it is rare for any of the serious contenders to walk away empty handed. Who knows if any of this is right, but here goes nothing. This is the big kahuna and anyone who tells you they know for sure what will happen is lying. There might be indications throughout the broadcast, but really, after last year, where Moonlight won almost nothing it "needed" to on its way to the trophy, this category is pretty much its own animal. Because it uses a preferential ballot, where what you rank second, third, etc. makes a difference, there is just no way to tell what the other wins throughout the ceremony mean. It is becoming more and more common to see a film win only Best Picture and one or two other trophies. Compared to years where the Best Picture winner would walk away with 7+, it is much harder to predict. The favorites here are The Shape of Water and Three Billboards Outside Ebbing, Missouri, but Get Out, Lady Bird and even Dunkirk are still in contention. I'm picking Get Out here mostly because more often than not, the movie I prefer wins. Just a gut call. Get Out is the most zeitgeisty movie and, at least for my money, is head and shoulders better than the other serious contenders. Of all the movies left out of the big categories this year, The Florida Project has the biggest gripe. It is a masterclass in acting (even if the lead is 7-years old), beautifully directed and artfully written. One of these days, the Academy will give Sean Baker his due. I will keep waiting. This one is basically over. In recent years, this award has tended to go to the auteur who puts out the technical marvel. La La Land, Gravity, The Revenant--each won this award without going on to win Best Picture. I expect the same here, with Guillermo del Toro winning for what I would say is one of his lesser works, but still a technical wonder. That this movie looks and feels like a $100 million movie on a fifth of the budget is a genuine achievement. That this award will be given out on this basis is fine. For my money, however, the technical marvel of the field is Dunkirk. The way Nolan weaved the three narratives so seamlessly left me genuinely stunned. Meryl Streep can do no wrong in my eyes, but this one looks all but sewn up. Frances McDormand's cooler than cool, above it all persona looks like it is going to grace the Oscar stage for the second time in her career. She would become one of just a handful of women who won two Oscars without ever losing. She doesn't campaign, or even particularly lean into the culture, but the work was good. She's one of the best things about a deeply flawed movie, but it looks like that will be just enough to carry her home. Saoirse Ronan is the spoiler to watch here, but McDormand is one of the safest bets on the board. The seasoned vets versus the newcomers versus the overdue. This would be the third statue for Denzel and the fourth for DDL. And while it would be the first for each of the other three, it's Oldman who will come out on top. He has the overdue card, he is playing a historical figure and he is a widely respected veteran. This is his trophy. Chalamet looked like a potential threat at one time, but at this point, this is the safest of all bets. If it were my vote, I would love to see Day-Lewis tie Katharine Hepburn for the most acting Oscars ever. And James Franco was the real transformation of the year in The Disaster Artist. But this is Oldman's year. I would call Allison Janney's work in I, Tonya more of a characicature than a transformation, but it doesn't make it any less deserving. She steals every scene she's in and really drives home the difficulty of Tonya Harding's life. Her Oscar will be a crowning achievement for a solid career doing mostly TV work. If there is a spoiler here, it is Laurie Metcalf as a slightly less evil mother. Though she has a similarly storied career, Janney has just done a better job hitting the campaign trail and making sure she is top of mind when ballots are turned in. If it were up to me, the Academy would have recognized the year's true breakout star, Tiffany Haddish. Not only was she the best part of one of the year's biggest hits, she was also everywhere, including the telecast announcing this year's crop of Oscar nominees. Her time is definitely here. Before long, it wouldn't be a shock at all to see her among the nominees. Unlike most categories, these nominees are more or less the right ones. This was a weak year for the category and the eventual winner won't be remembered as an all-timer. As it is, this looks like Rockwell's, with Dafoe as the potential spoiler. Though I hated Rockwell's movie and loved Dafoe's, there is no arguing that Rockwell wasn't excellent--however flawed his movie was. For me, Christopher Plummer's turn as J. Paul Getty was Herculean. I am factoring in major points for the real life task of replacing Kevin Spacey and doing an all-around solid job at it, even if he wasn't exactly breaking new ground with his performance. Sometimes it is the thinnest categories that lead to the Academy venturing off the well-worn path. Logan's admission represents a wildcard, as superhero movies generally struggle to break through in the major categories. But since it is unlikely to win any of the other major awards, this will likely be Call Me By Your Name's big win for the night. It's not my personal taste, so my vote would go to Mudbound, which was a sprawling epic that spanned continents, mashed together multiple families and generally weaved together several narratives. If it weren't for the Netflix stigma, it might be getting more love. As it stands, Call Me By Your Name looks like the clear winner. If there is one category I care deeply about, it is this one. It might even be that my own bias is shading my prediction. But if Three Billboards Outside Ebbing, Missouri wins over Get Out, it will really be a travesty. One of the freshest horror films anyone has seen in years, working in complex commentary on racial politics and becoming a true cultural icon, losing to a so-so mashup narrative about an unrealistic American town would be a real shame. Three Billboards' screenplay is the deepest of all its flaws. It is unable to get out of its own way with ham-handed folksy dialogue and a total inability to strike the right tone on race. Hopefully the academy can get this one right since it let me down by including The Big Sick over I, Tonya. You may not know his name, but Roger Deakins is the single most overdue person in Oscar history. Fourteen nominations and zero victories. He's shot classics like The Shawshank Redemption and No Country For Old Men, but has never quite been able to break through. Even though many know how overdue he is, only the name of the film will be listed, so hopefully people are impressed enough with the work that he pulls out the win. If not him, look for Lausten's work in The Shape of Water to be recognized. If you've seen it, you know they built entire narratives around the clothing. It is the story in some ways. Of these nominees, it is the only one where the clothes really make the movie, which is sometimes enough for the win. The flashiest editing of the year would probably go to Baby Driver, but Dunkirk's editing really makes the movie what it is. Those three timelines are woven together beautifully and culminate in one of the year's best movie moments. It seems unlikely given the merits of the favorites, but if The Shape of Water wins here, it could be in line for a very big evening. 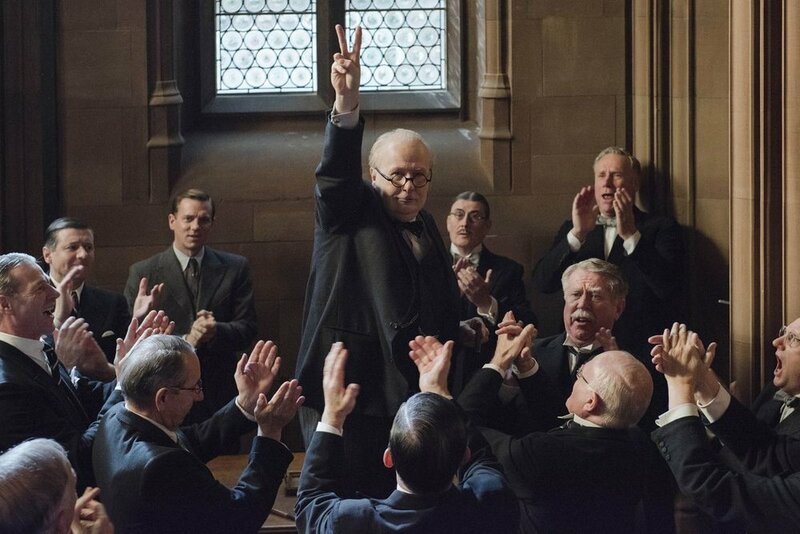 If you turn Gary Oldman into Winston Churchill, you win. Like The Iron Lady, like Elizabeth, turning famous actors into historical British figures wins Oscars and this one is pretty much etched in stone. The world they managed to create here is genuinely special. I was not a fan of the script or final product, but there is no doubt care went into crafting this film's universe. Blade Runner 2049 and Dunkirk are equally deserving, but this is the kind of award you pick up along the way when you are likely to win the most for the night, which The Shape of Water is. The story is much the same below. My personal preference is "Remember Me" from Coco, but there is no denying that "This Is Me" is a catchy song and a massive hit. Identical nominees, so let's go with identical winners. Dunkirk is a technical marvel, so it would only make sense that it rack up wins here. The team behind these visual affects have truly shifted the landscape forward. The motion capture work they do to create the apes is truly second to none. If there is a spoiler here, it is most likely Blade Runner 2049. As usual, this is Pixar's to lose. But this year, more than most years, they truly deserve it. 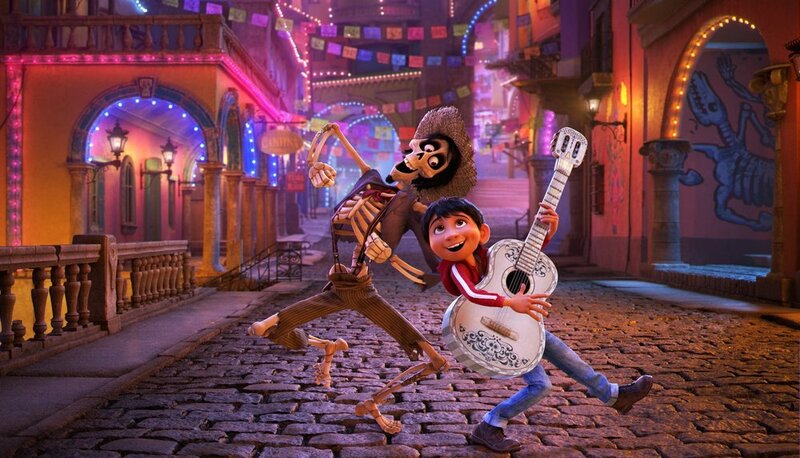 Coco was a genuinely special movie that deserves to be compared to some of the studio's very best. There is a lot going on in this category. Syria, prison, Olympics, legendary filmmakers, Netflix. It's anyone's guess which narrative will win out, but it would be a nice moment to see Agnès Varda become the oldest ever Oscar winner at 89 years of age. Sometimes, in categories like this, if there is any other reason to watch a particular movie, the Academy will seize on that as reason for the win. All season, Daniela Vega has garnered praise as the lead in A Fantastic Woman. On Oscar night, she will become the first transgender presenter in Oscar history. That kind of burgeoning star power is likely enough to make her film the eventual winner. Academy Award winner Kobe Bryant. It has a ring to it. Though its animation may not be of the highest quality, and its subject matter isn't exactly war and peace, most of the voters live in LA. If you are a Lakers fan, this pulls at the heart strings in a way the other nominees just won't. If not for the LA connection, this might be a tougher call, but Hollywood is in Hollywood, after all. 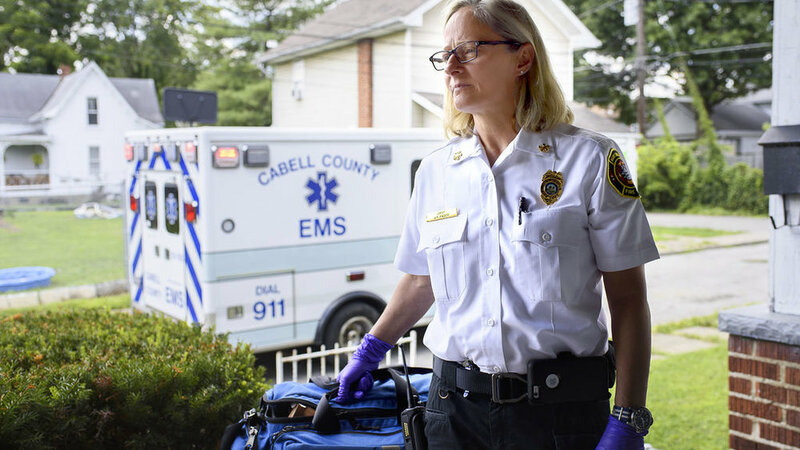 Netflix and the opioid crisis are likely enough to push this one over the top. While it might seem crass to point out that guns have been a major headline recently, it is hard not to notice. The fact that DeKalb Elementary is based on the events surrounding a real life school shooting means it is unlikely to escape the attention of voters in a category where people usually aren't basing their votes on much more than a whim.